Press Release: By Team Moloney – Rising Australian Super Flyweight star Andrew Moloney is locked into training as he prepares for his March 22 showdown with impressive Chilean Miguel Gonzalez, with the winner putting themselves in line for a crack at the WBA World Super Flyweight title as the official mandatory Challenger. 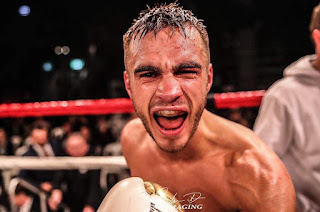 Moloney, who already has a host of titles to his name that includes the Commonwealth title, WBA Oceania title amongst others, opened up on training camp and his opponent on March 22, Miguel Gonzelez. The Monster stated, "Training has been going well with my trainer Angelo Hyder. Angelo has trained some of Australia's top talent for years and years, so to learn of Angelo and train alongside the likes of my brother Jason, Billel Dib and Bruno Vifuaviwili is improving me as a fighter every day." Moloney continued, discussing his South American opposition on March 22 in San Fransico de Mostazal's Gran Arena Monticello. The current WBA Oceania Champion said, "Gonzelez is a good fighter. He's 29-1 for a reason. He has a great record and his team have a lot of belief in him. "This fight is really what world title eliminators are about. Two fighters at the top of their game battling it out to see who is number one. Gonzelez is a world level fighter, but I am out to prove I am an elite level fighter on March 22." Victoria native Moloney has his sights set on the elite of the Super Flyweight division, which includes Britain's Kal Yafai, Thailand's WBC Champion Wisaksii Wangek and Nicaraguan legend Roman 'Chocolatito' Gonzalez. Moloney elaborated on what he sees him for himself in 2019 and the years to come. The Melbourne Super Flyweight said, "I want to be World Champion that is the ultimate goal. 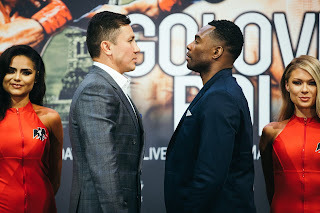 Fighting someone like Roman Gonzalez in AAMI Park in Melbourne would be a dream, but my focus in Miguel Gonzalez right now, then onto a big world title clash in 2019." Material Courtesy of Team Moloney/Photo Courtesy of: Steve Dilks Used with permission.